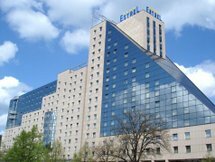 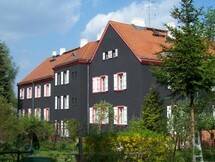 Gropiusstadt is a locality (Ortsteil) within the Berlin borough (Bezirk) of Neukölln. 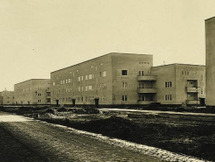 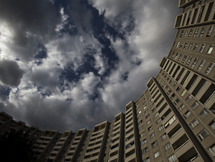 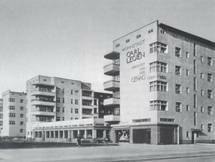 It was named after the architect who projected the complex: Walter Gropius. 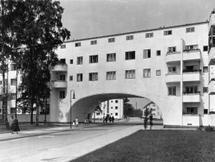 [h]History[/h] Building of the quarter, initially named Britz-Buckow-Rudow and projected in a modernist style by Walter Gropius, ended..
Afrikanischestrasse housing in Berlin 15-41 consists of four similar three story apartment buildings from 1926-1927. 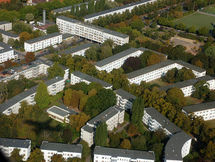 They are Mies most important contribution to the innovative social housing development. 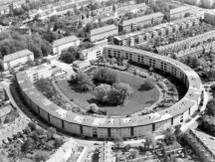 Mies varied their cubic forms with the arrangement of windows and with curved balconies..